PRICE REDUCED BY $10,000. 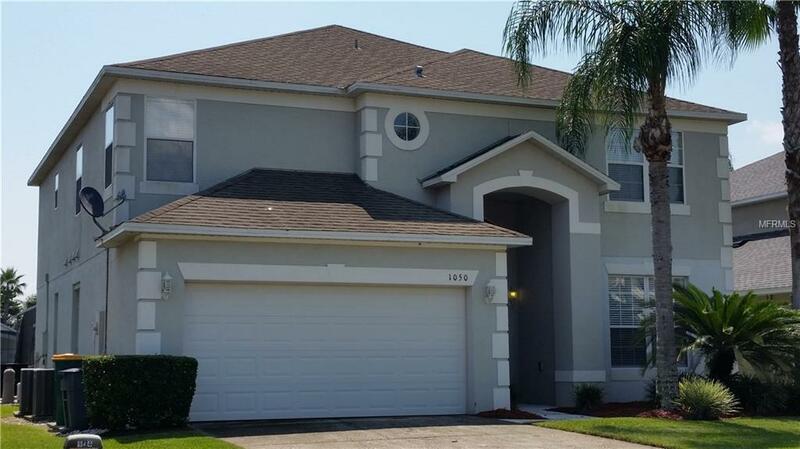 Large 6 bedroom, 5 1/2 bath, 2 story home with 4 master suites (1 on first floor, 3 on second floor) is located in a gated community. Ideal for a large family or to use as a short-term vacation rental. 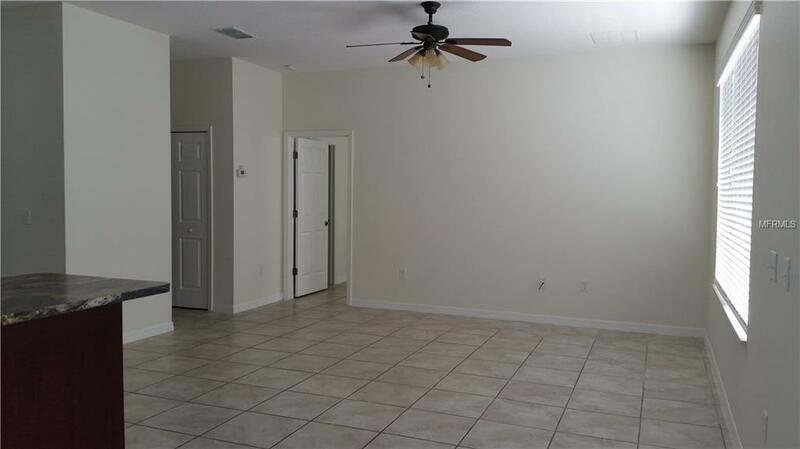 This home has a freshly painted interior and features 18" ceramic tile floors on the first level and vinyl oak plank floors on the second level (comparable in durability to ceramic tile). 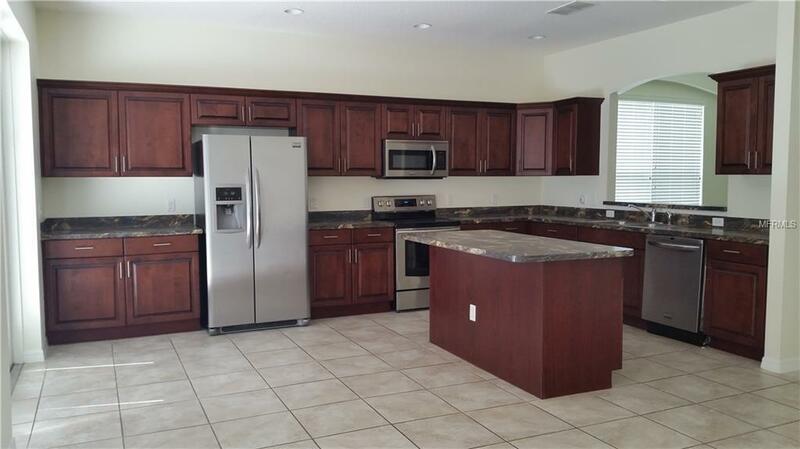 Huge kitchen opens to the family room and has a center island with rounded corners, cherry finished cabinets, crown molding, recessed lighting, & stainless steel appliances, making this a desirable work area for anyone, including a chef. 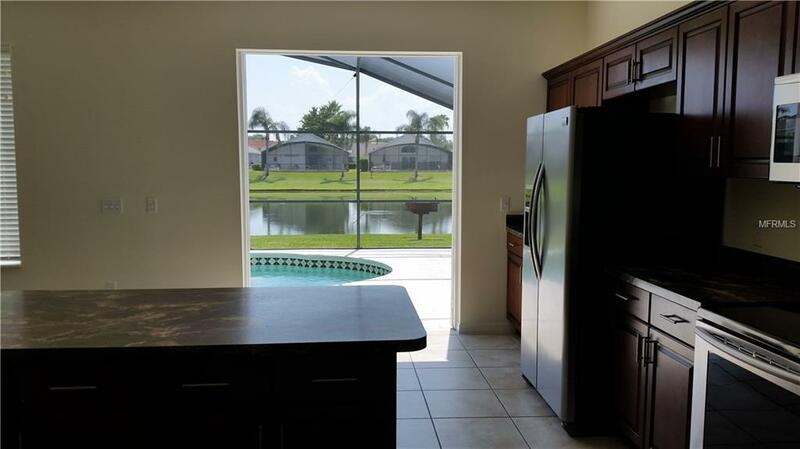 French doors with built in blinds open out to the pool area, which overlooks a pond. The upstairs family room is complete with a wet bar with granite counter top, undermounted sink, plus a full size refrigerator. Double pane windows throughout the home for energy conservation as well as 2 zones of cooling/heating for maximum comfort & energy conservation. What's not to love about this home!